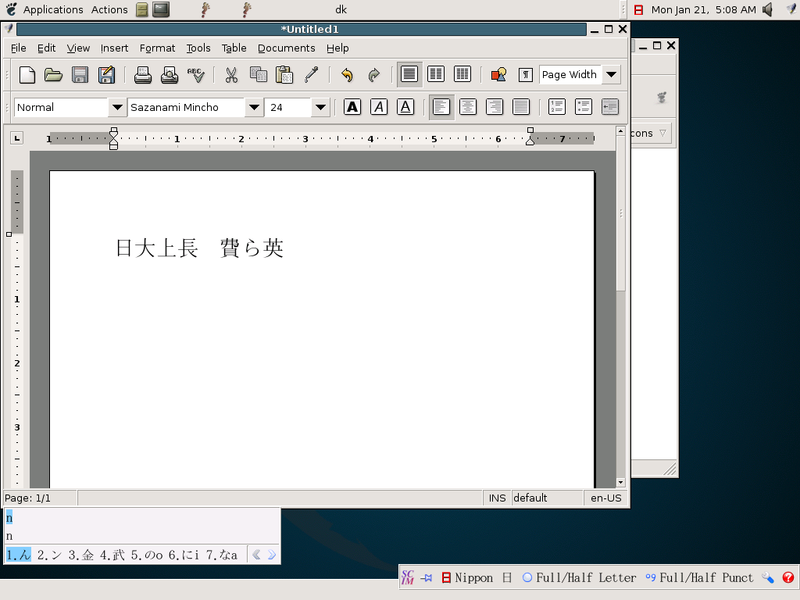 Here’s a short guide to enabling an IME (Input Method Editor) on Linux. For no particular reason, other than the fact that I have just had to retrace my steps to figure out how to do it for some education material I am preparing. This should work in a more or less similar fashion across various Linux distributions, but in the steps below I use Debian. 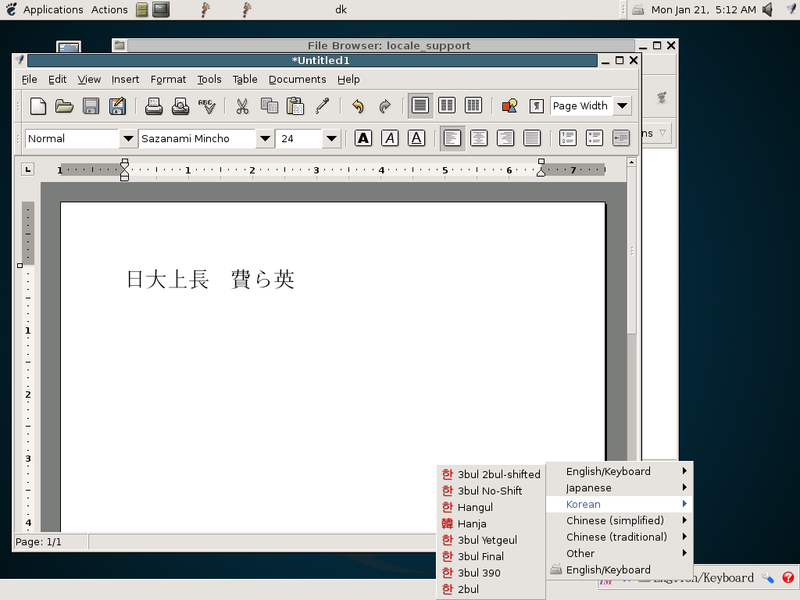 The SCIM (Smart Common Input Method) IME comes pre-installed on the Debian distribution, but you do have to do a little bit of additional install and configuration to really get it to work. Install the locales you want to use the IME in. I recommend using the UTF-8 locales for ja_JP, zh_CN, zh_TW and ko_KR. 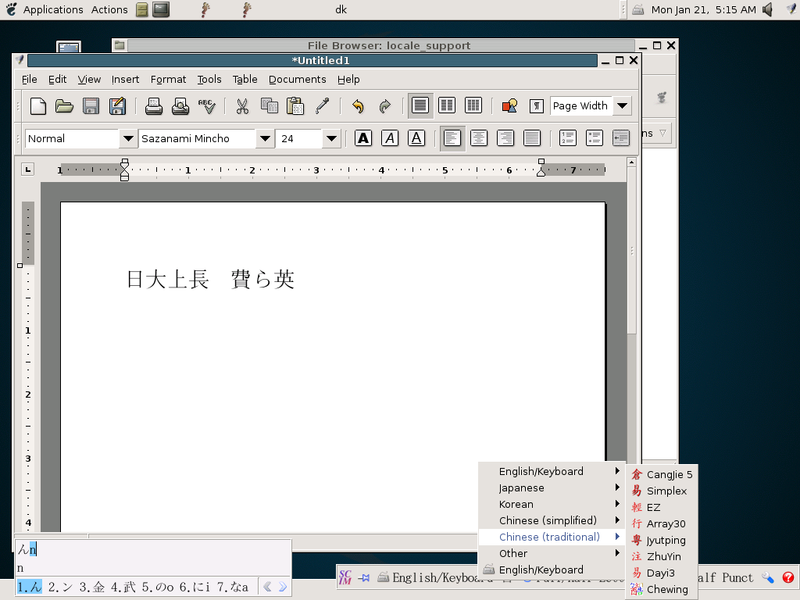 On Debian, it is very easy to simply use the command “dpkg-reconfigure locales”. This brings up a dialog where you can select the locales (from a very long and impressive list, btw., especially when you consider that all those locales actually contain real localized versions). Once you are done and exit the dialog, the locales are automatically generated for you (even though you are told you need to do this yourself). Then use “apt-get install ttf-arphic-uming” to install one of the Unicode fonts. Repeat for the script/languages you want to support. Install and configure SCIM. This is the only step that required some rooting around on the web for instructions, and I actually did not succeed in finding any that I would call really good or final. A. “apt-cache search scim” (our trusty old aptitude again). D. Execute “scim -d” when you log in or when the shell starts. I am new to Linux (today) and am trying to install IME for Japanese. I am following your instructions, but when I get to Part 3 B, I can not save these files or write to them. What am I doing wrong here. 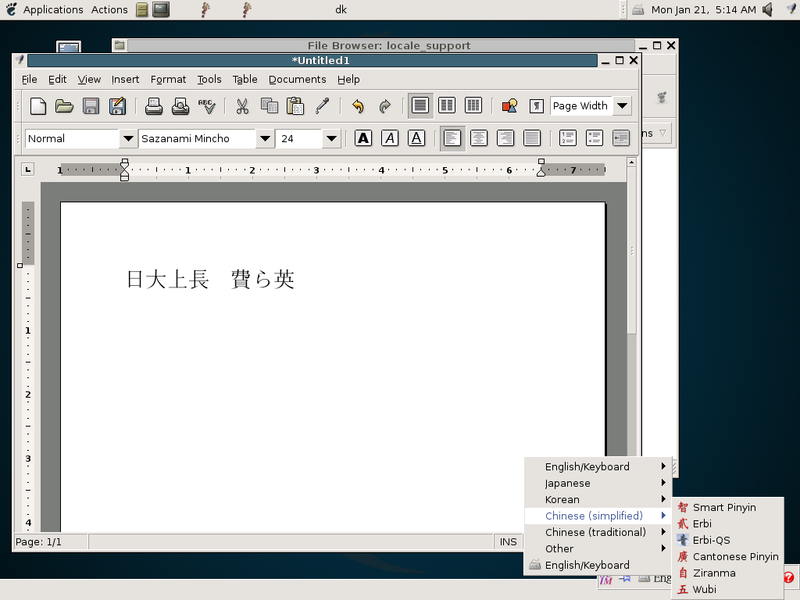 I am using Xubuntu, and everything seems the same as you are describing. 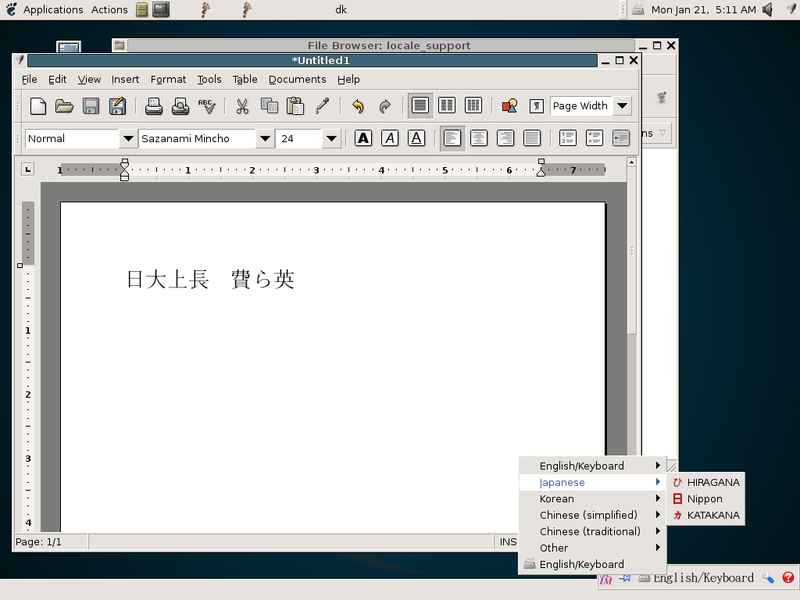 nota : scim-gtk2 for gtk/gnome apps, scim-qtim for QT/kde apps. -4- restart and enjoy for 3 Dragons (Japan, china, korea). Ctrl-Space for switch input method. /etc/environment is not “the best place” but it’s be pactical.